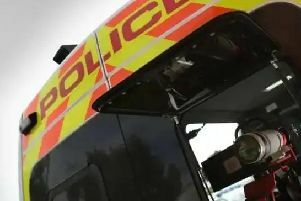 A Worksop nuisance has been handed a two-year Anti-Social Behaviour Order after a campaign of begging, harassment and drunk and disorderly behaviour. Vincent Pegg, of Park Street, targeted elderly and vulnerable people across Retford and Ordsall. Bassetlaw District Council and A1 Housing’s Joint ASB Team obtained the order on 20th January at Mansfield Magistrates’ Court. The full order prevents Pegg from entering or remaining in areas of West Retford between the boundaries of Churchgate, River Lane, Bridgegate, Rectory Road, Union Street, Rectory Road, Albert Road and Arlington Way. The order also restricts Pegg from entering or remaining on pavements outside shops in Retford and Orsdall and prohibits him from being in possession of an unsealed container of alcohol in any public space or building within Retford except for licensed premises.